You will never know when mother nature will decide that it is “lights out” and create a drastic power outage to the essential appliances you use and need everyday. You also will never know how long each power outage will last or for how many days you will be left without food, water, safety, comfort, and communication. Midwest Electric & Generator is a Minneapolis based company that proudly serves the greater parts of Minnesota, Wisconsin and North Dakota. 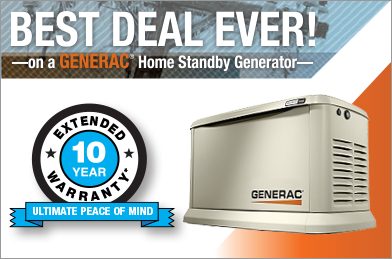 Midwest Electric & Generator will help you keep the lights on with the selection of the right standby generator unit. – Whether or not you work from home or rely on power to generate income? – If your home requires a sump-pump to avoid flooding or serious water damage? – What is your tolerance level for changes in temperature? Too hot, or too cold? – How much food do you have in the refrigerator or freezer that will spoil? – Do you have medical devices that need electricity? – How long can you withstand from television, electronic games, device charging, and numerous other recreational mechanisms? Each of these questions provide you with some level of feeling what you can and can’t afford to live without. If anything at all jumps out to you as something you can’t afford to live without, the time is now to invest in the security and comfort of back-up power that only a standby generator can provide. Midwest Electric & Generator is a one-stop shop to keep your home running and keep you from being left in the dark. Call us today, or check out our website for more information! We work hard to provide you the comfort and protection you deserve now and for many years to come.